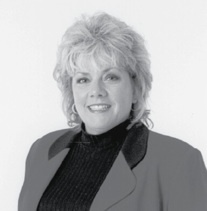 Lynn Reagan was born in Texarkana and is a lifelong Texan. She attended R.L. Turner High School and East Texas State University. Long before Lynn founded Just Let Lynn Do It!, she recognized a need in the community that was not properly being filled - senior relocation that fits your lifestyle. Since founding her business in 2002, Lynn has helped hundreds of seniors through every step of the downsizing process, down to the very last detail. All the while, Lynn continues to attend conferences and take classes on everything from organizational skills to advanced senior relocation tactics. This continuous training ensures that Lynn and her crew will provide the knowledge and efficiency that every customer deserves, every time. Moving is a tough enough job in itself. Where do I begin? Which place suits my needs best? What will I do with the things I no longer want to keep? Which movers can I trust? How am I going to get all the boxes unpacked and out of my new home? Who’s going to decorate my new place? These are just some of the things Lynn takes care of while keeping her clients involved in the process every step of the way. This allows for the freedom to downsize without stress or hassle. and personally getting to know each client, Lynn turns daunting tasks into seamless moves time and time again. In her spare time, Lynn can be found in her studio with one of her sisters working on mosaics and other art projects, some of which have been featured at the State Fair of Texas and in galleries throughout the country. Their work can be found at www.rockinartists.com. 2002 Just Let Lynn Do It!